Imagine driving peacefully on a bright sunny morning listening to your favourite music and enjoying the scenery around you. Now, imagine that your car’s air conditioning system suddenly stops blowing cold air, how would you feel? Absolutely distressed of course! Facing any issue in your car related to the air conditioning system can be highly tormenting especially if you live in a hot country. The main issue with the car’s AC occurs due to poor maintenance. It is essential to inspect your car’s air conditioning system from time to time and ensure that it is working properly. There could be several reasons why your car’s AC has started to malfunction and we will discuss these problems in this article. The first thing you should check when your car air conditioner is not blowing cold air is the condenser fan. If the fan is damaged and not operating at its full force, it will not cool down the heat coming from the refrigerant. Additionally, you should also check the wiring and connection of the condenser fan as well as its placement to see if it is positioned correctly. Freon is another word for the refrigerant that cools the air. If there exists a leak in the system through which the Freon is leaking, the air conditioning system will not blow cold air. Modern car air conditioning systems are sensitive and require an optimum level of Freon in order to operate effectively. One way to check the Freon level is through the charging machine which removes all the existing refrigerant and inputs the correct amount. If you notice that the AC is losing Freon very frequently, it is recommended to check the hoses as well as other components. The air conditioning system needs recharging to work effectively. AC recharging means filling it with refrigerant so that it can cool the hot air. Recharging is only a temporary fix if there is a leakage in the system. You can perform the recharging procedure at home as well or let a professional do it for you. I do recommend to take it to a mechanic workshop as the car’s are very sensitive to the absolute correct amount of pressure in the system. Blend air door actuators, also called HVAC actuators are responsible for controlling the position of vents and mixing hot and cold air to achieve the optimal temperature. When the actuators are not working, you will either receive only cold air and no hot air or hot air but no cold air. In such a case, take your car to an auto specialist who will fix the blend air door. The average cost will come between $130 and $530. The parts itself cost about $85 but the labour cost varies from vehicle to vehicle. The condenser is the main components of the air conditioning system that provides the cool air. If the condenser is dirty or damaged, the air conditioning system will not throw any cold air. 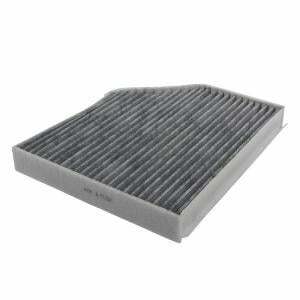 A cabin air filter is responsible for filtering the air that enters the car’s air conditioning system. The filter traps all the dust and contamination from entering the cabin and as a result, it can get clogged over the time. Moreover, a clogged cabin air filter also causes the air conditioning cooling to deteriorate. It is recommended to check and clean your cabin air filter frequently. If you want to learn more about this, you can check our Why should I replace my Cabin Air filter article. How to Recharge your Car’s AC? As mentioned before, recharging the air conditioner means adding additional refrigerant to the AC system so that it starts to blow cold air again. The AC recharging procedure can be done at home as well and we will discuss how you can do it. There are some rules in some countries that will make you unavailable to buy the refrigerant as a personal person. In this cases, you have to leave the AC system to a workshop to do the job for you. If you can buy it, you can follow the guide down below. The first step is to turn on the engine and switching on the AC to the max. Next step is to determine if the AC compressor is engaging. The compressor has a clutch at its end that rotates with an accessory belt when the AC is set to max. If the clutch is moving fine, then it the problem is with low refrigerant only. However, if the clutch is not spinning, then either there is something wrong with the wiring or the compressor has failed. Locate the low side pressure port which is located on the left side of the engine bay and is marked with the letter “L”. If you are unable to find it, look at the back of the engine and you would see two aluminium pipes coming from the firewall. Follow the larger pipe and you would locate the low side pressure port. Simply place the dispenser hose opening on the port opening and push down until you hear a clicking sound. Ensure that the dispenser is attached securely and no air would enter the port. Press the trigger to transfer the refrigerant but don’t squeeze too hard or the refrigerant might escape into the atmosphere. Restart the engine and turn on the AC to the highest setting. 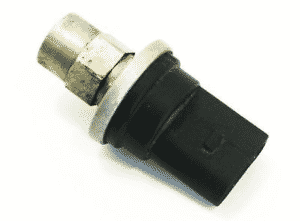 Monitor the gauge by inspecting the gauge and see if it engages. Once the compressor is engaged, notice the reading on the low side pressure. If it reads below 40 psi, then the AC system is not charged fully. Press the dispenser trigger for about 5 to 10 seconds to add the refrigerant. Keep checking the pressure gauge to confirm if you don’t overfill. The ideal pressure is 40 psi. Once the refrigerant is filled, head inside the car and with the thermometer placed inside one of the AC vents, note the temperature. An ideal AC should blow cold air which is about 28 degrees. The average cost to replace the car AC compressor is between $600 and $1100. The compressor itself cost about $700 while the remaining cost is the labour cost. There are also a lot of other different tools in a air condition system that could be a bit expensive. If the AC system just need a refill, the cost could be around 100-300$ depending on if you are doing it yourself at home or letting anyone else to do it. Do you have any other AC related questions? Comment down below and I will answer your questions as soon as possible. If you have any other car questions you are welcome to ask them at our homepage.